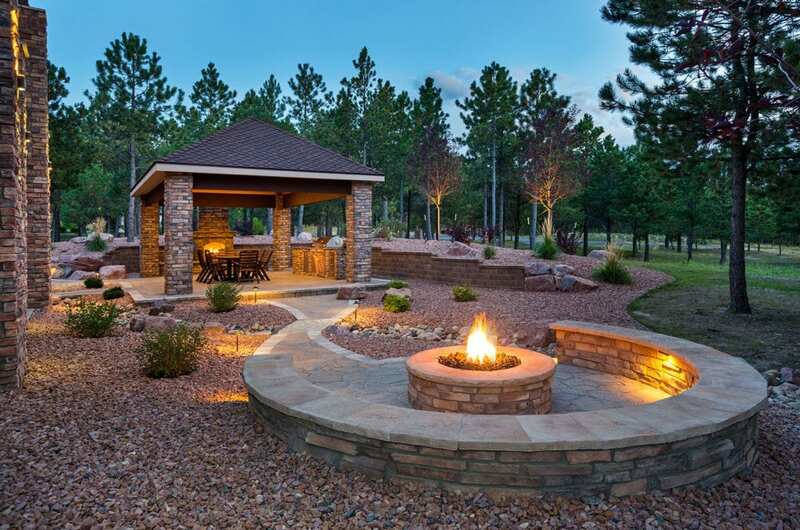 Custom stone furniture is the perfect addition to any firepit while flattering your landscape and the aesthetic of your home. When selecting stone furniture, it’s helpful to take a few factors into consideration to ensure that you get the new furniture of your dreams. A little research, including determining the type of stones you would like to be used in building your designs and the primary purpose for your new furniture will go a long way in creating amazing custom designs. Stone furniture is one of the strongest and most durable furniture options available on the market, making it a lifetime investment. As an eco-friendly alternative to traditional patio furniture, stone furniture is a popular choice among environmentally conscious homeowners and the green consumer. Stone furniture is constructed from materials naturally present in the environment and requires no artificial manufacturing process, making it a sustainable and economical option. Little to no maintenance required. Stone furniture will not experience wear and tear from the elements. Acts as a focal piece and conversation starter. Guests will be curious about the design process of your stone furniture and might consider their own stone furniture options. Lifetime investment. Stone furniture returns its initial investment with its low maintenance and extreme durability. Unique and environmentally friendly. Stone furniture stands out and will complement the unique nature of your home and landscape. Stone furniture designs offer various precious stones to select from when creating your new furniture. Stone furniture no longer means ordinary slabs of cement. Luxurious marble, quartz, and granite materials are a great way to add a contemporary edge to stone furniture. If you are looking for scratch resistant options, granite is the primary choice for both countertops and furniture, due to its tough and extremely durable nature. For the green homeowner, quartz is the most eco-friendly stone available. Quartz is constructed from stone and resin to create lustrous, breathtaking designs that beautifully enhance stone furniture. If you opt for concrete during your furniture design process, take assurance in the fact that concrete can be transformed into a sleek and stunning furniture piece that offers extreme durability and heat resistance. Along with durability, concrete offers versatility and can be used to create any furniture item you would like. Stone top tables are available in a number of options ranging from patio tables, dining tables, and stone top side tables. A customized stone top patio or dining table is a great way to turn your patio or lounge area into a practical and relaxing space. When working with a designer in creating your own custom stone furniture, you have the opportunity to build the most majestic design you can imagine, so don’t be afraid to get creative! Stone furniture is the ideal vessel to showcase dramatic designs, including designs that capture the elements of nature and showcase them in a bold and beautiful way. Stone top patio tables capturing the essence of fire and watermake an excellent conversation piece and a natural addition to any firepit. Selecting the right custom stone chairs to complement your table is the next step in the design process. Popular custom stone chair options include armchairs with wide, flat armrests that you can easily relax upon. If your primary goal is entertaining, your furniture selection should comfortably seat a small to large group of people with ease, in which case a bench may be appropriate. When working with a designer, mention any specific features or ideas for the new chairs that you may have in mind. Custom stone furniture can be adorned with an assortment of decor options to further complement your patio and express your style. When selecting decor for your custom stone furniture, take design factors into consideration including the shape of your furniture and the stones that were used to create it, as well as essential qualities such as color. Opting for slate, neutral and dark colors in your decor scheme can complement the natural beauty of stone furniture. When it comes to accessories, padding and cushions are available in a number of styles to ensure that all of your guests are comfortable.